button. This button will show all Activations where both the Phone # and Amount DO NOT match. 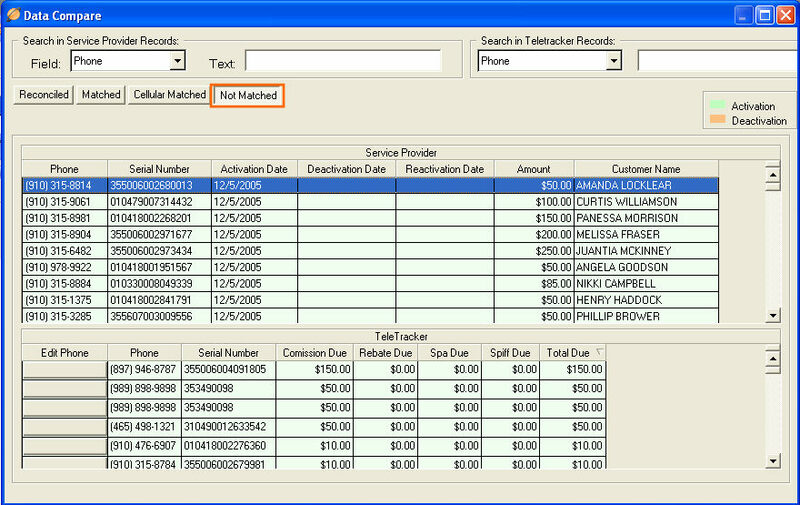 button if the phone # specified in TeleTracker Online needs to be modified. Modify the Phone # as needed. button once all necessary phone #'s have been edited. 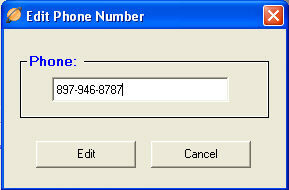 TeleTracker Online will attempt to re-match all of the edited phone #'s. Complete matches will be place in the Matched button. Phone # matches will be placed in the Cellular Matched button. Activations that do not match anything, will again be placed in the Not Matched button.